The sky is falling. It's the zombie apocalypse. We're all doomed! This past week, the Center for Disease Control confirmed the first diagnosis of Ebola within America. The individual’s name is Thomas Eric Duncan, a Liberian national. ... Here are nine reasons why you shouldn’t buy into the hype. 1. America has the infrastructure and technology to contain an outbreak. 2. It’s actually pretty difficult to get infected. 3. Contracting Ebola doesn’t lead to automatic death. You can beat it. 5. Ebola is not airborne. 6. This isn’t the first outbreak of Ebola, it’s containable. 7. 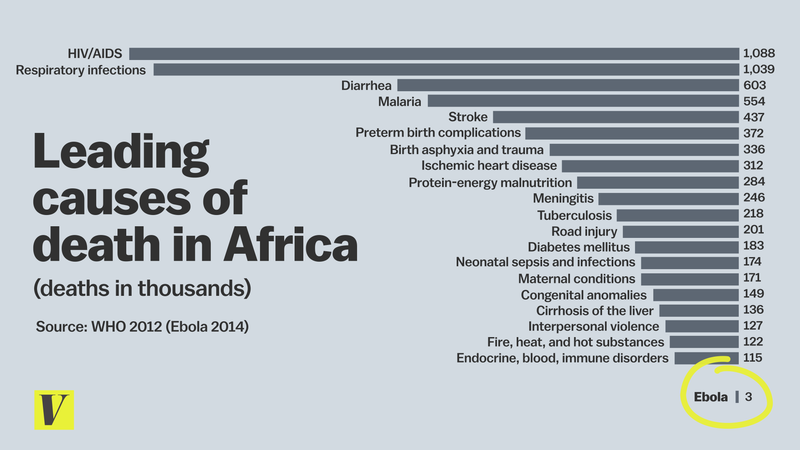 Ebola has spread in Africa because of politics and culture, not because it’s impossible to contain. 8. 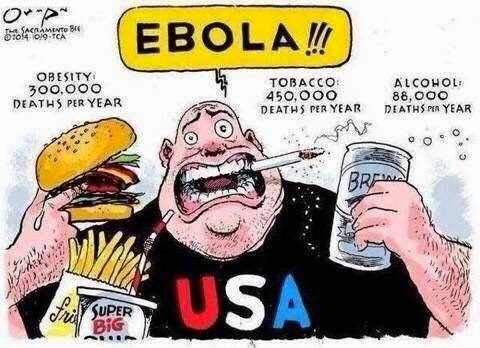 America has bigger health issues to concentrate on. 9. It’s a distraction from all of the good things happening around you. Ebola? Don't make me laugh. We collectively get used to something, then forget about it. Over thirty thousand people a year are killed in traffic accidents in the United States. Over 500,000 people will die from cancer. Ebola? The statistics for other things are staggering and yet, we pay no attention. How moronic.